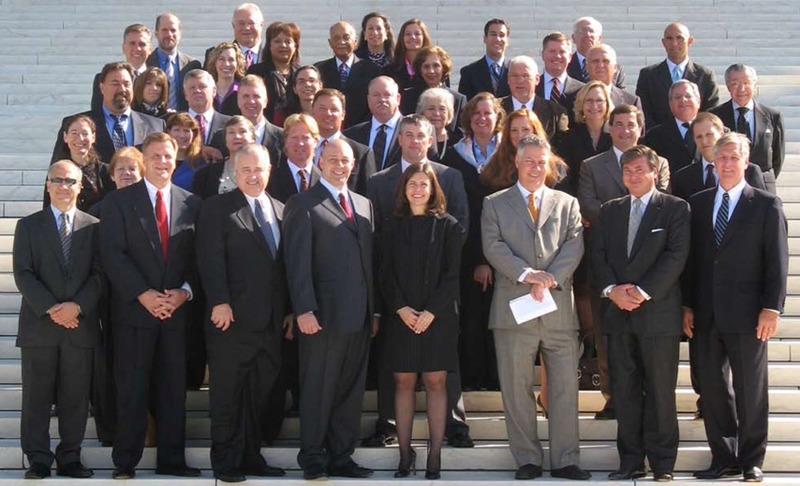 For the first time in Chicago-Kent history, a group of alumni were admitted to the bar of the U.S. Supreme Court in Washington, D.C. Chief Justice John G. Roberts, Jr. administered the oath to thirty-seven alumni on October 15th. Associate Justices Ginsburg, Kennedy, Scalia, Souter, Stevens and Thomas were also present. Alumni inductees came from all over the U.S.: Illinois, Oregon, Virginia, Arizona, Florida, Missouri, Maryland, Kansas and the District of Columbia. Our graduates who participated included members from the classes of 1952 and 1953, spouses, and a father with both his children (all Kent alumni! ), as well as former Chicago-Kent professor Jonathan Tomes. The highlight of the day was a post-induction congratulatory visit from Chief Justice John Roberts, Jr., Justice Ruth Bader Ginsburg and Clerk of the Court, the Hon. William Suter at our breakfast reception. The day before the ceremony, we hosted an alumni gathering at the University Club of D.C. for inductees, their families and guests, and Chicago-Kent alumni who live and work in the Washington, D.C. area. Chicago-Kent professors Nancy S. Marder, who clerked for Justice John Paul Stevens, and Carolyn Shapiro, who clerked for Justice Steven G. Breyer, gave a personal touch to the event by sharing their experiences of working at the Supreme Court. I was pleased to share the experience with so many alumni from the D.C. area as well as those who traveled for the swearing-in event. (For a full list of alumni who were inducted, please click here.) Particular thanks go out to Terry Lavin ’83 and Mike Marick ’82 for moving the nomination of our alumni to join the bar. 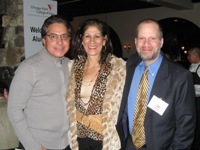 The alumni inductees were members of the Chicago-Kent Senior Partner Council and Alumni Board of Directors. The Office of Alumni Relations is organizing another swearing-in for the Spring of 2009 and plans to provide this opportunity to all Kent alumni. At Kent, we have much to be thankful for, and I am pleased that so many of you have generously given your time and resources to make our programs more innovative and our law school more successful. U.S. Supreme Court in Washinton D.C.
You can be proud of Chicago-Kent’s trajectory into the top ranks of US law schools: 2007 champion of the National Trial Competition; 12:1 faculty to student ratio; 3.6 median grade point for the entering Class of 2010. However, one area where Chicago-Kent lags behind peer schools is in annual alumni support. While many private law schools enjoy alumni participation of 25% or more, last year Chicago-Kent averaged just more than 11%. As the end of the year approaches, we hope that you will participate and consider making a tax deductible gift to Chicago-Kent. It is our goal to increase participation to 15% this year. Whether you support the ILW, the Annual Fund, or the new Loan Repayment Assistance Program – whether you give at the $10, $50 or $100 level -- every gift counts and is greatly appreciated. Questions? Please contact Lisa Turley, at eturley@kentlaw.edu or 312-906-5241. Chicago-Kent Moot Court teams excelled at the Appellate Lawyers' Association's Midwest Moot Court Competition in October. The teams of Rachel Adamczyk (3L) & Toni Odette (3L) and Margaret Battersby (3L) & Mike Ko (3L) finished in first and second place, respectively and swept the best brief and oral argument awards. This is the second year in a row that Chicago-Kent students have won the Midwest Competition and the best brief award. In early November at the National Moot Court Competition in Milwaukee, the team of Joanna Brinkman (3L), Lalania Gilkey-Johnson (3L), and Rachel Moran (3L) qualified for the national runoffs, and Lalania Gilkey-Johnson received the award for Best Oral Advocate in the final round. In January, Chicago-Kent’s team will join 27 other regional finalists in New York. Chicago-Kent alumni serving as Illinois lawmakers and government officials visited their alma mater last month to participate in a forum with students about how the law school and their practices helped their careers. We are grateful to the alumni who participated including Alderman Thomas Allen ’77 (38th), Representative Kurt Granberg '80 (D-107th), State Senator, the Hon. Randy Hultgren ’93 (R-48th), Judy D. Martinez ’98, State Senator Kwame Raoul ’93 (D-13th), Alderman Scott Waguespack '00 (32nd), and State Senator Arthur “A.J.” Wilhelmi ’93 (D-43rd). Additional thanks to the forum moderators, Lindsay Hansen Anderson ’05 and William C. Kling ’87. 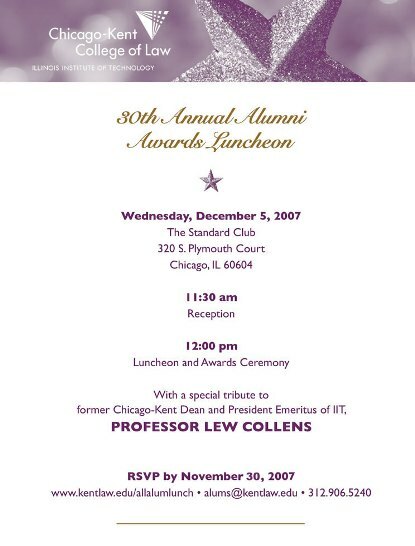 The event also honored IIT President Emeritus Lew Collens, presenting him with a resolution that passed through the Illinois legislature. 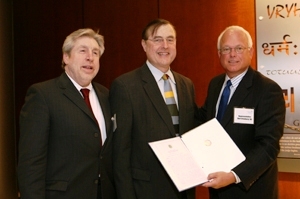 The resolution (HR1445), introduced by Representative Granberg, recognizes Lew’s service to the university, the state, and the legal community. The Chicago-Kent Chapter of the Student Hurricane Network partnered with national organizations including ACORN and the Robert F. Kennedy Memorial to draft comprehensive federal legislation to address infrastructure and workforce development in the devastated Gulf Coast region. 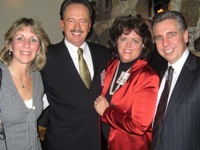 Kent student Jonathan Rhodes (2L) worked with Representatives Zoe Lofgren (D-CA), Charlie Melancon (D-LA) and Gene Taylor (D-MS) to draft the legislation that was introduced in the House as the Gulf Coast Civic Works Act of 2007 (HR4048). The bill authorizes federal funding for critical infrastructure projects that would result in 100,000 jobs for residents of hurricane-ravaged communities in Alabama, Louisiana, Mississippi and Texas. HR4048 would also give local residents and businesses top priority for jobs and contracts, and create a civilian conservation corps for young adults working on environmental programs to rebuild wetlands and urban greenery. HR4048 has been assigned to Education and Labor Committee for further consideration. If you would like to support the Student Hurricane Network, you may donate online at www.kentlaw.edu/give. The Chicago-Kent chapter of the Student Hurricane Network wil also l be volunteering in New Orleans over winter break. If you are living in the Gulf Coast region and would like to meet the Kent students while they are on their service trip at the end of the month, please contact jrhodes@kentlaw.edu. 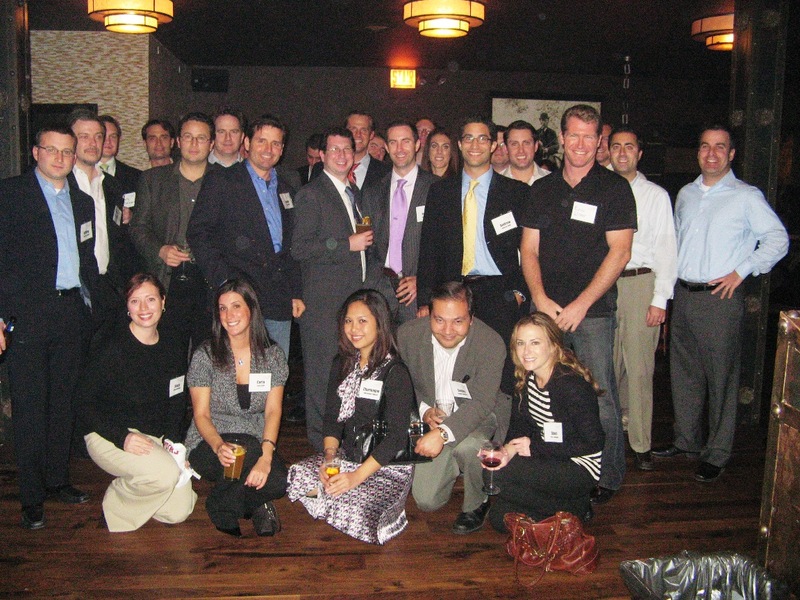 Over 80 students, alumni, and friends of Chicago-Kent attended the 2nd annual Diversity Networking Reception at Chicago-Kent on November 16, 2007. Co-hosted by the Office of Alumni Relations, the Black Law Students (BLSA), Hispanic-Latino Law Students (HLLSA), the South Asian Law Students and the Asian-Pacific Islander Law Students Associations, the event provided an opportunitiy for students to meet with alumni. Francine Soliunas, Assistant Dean for Strategy and Student Professional Development and the Exec. Dir. of the Institute for Law and the Workplace welcomed the group. BLSA president Robert Patillo (2L), and HLLSA representative Ruth Lopez (2L) spoke to attendees about their organizations' initiatives and the importance of alumni and student relationship-building. We are grateful to Jenner and Block for sponsoring the event. 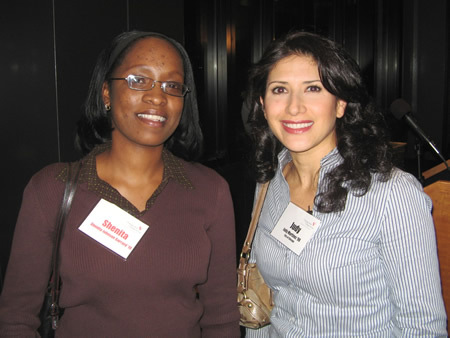 Event photos are available on the alumni online community. Thank You to our November Alumni Volunteers! Robert Hershenhorn ’68, Chairman of the Board of First Bank & Trust Company of Illinois and Peter J. Birnbaum ’83, President and CEO of Attorneys’ Title Guaranty Fund were the most recent alumni to participate in our Dean’s Roundtable series. The Roundtable program was introduced by Dean Hal Krent to allow for student interaction with alumni in an informal lunch setting. It highlights successful alumni who work in careers outside the legal profession but who still utilize their legal education. We are grateful to Mr. Hershenhorn and Mr. Birnbaum for taking the time to give back to Kent students. Similarly, alumni volunteers recently participated in the Alumni Board of Directors’ “Take a Break” series, discussing their experiences working as sole practitioners with students. Thanks to Dan Austin ’02, Moria Bernstein ’96, Robert Fink ’02, and Gregg Garofalo ’99 for participating as panelists for this event, and to Alumni Board member Tarek Fadel ’03 for acting as moderator. 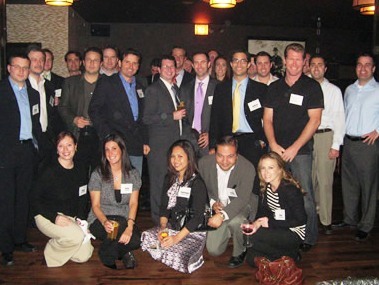 On November 1, graduates and friends of the Class of 2002 celebrated their 5-year reunion at English Bar and Grill. Alumni reconnected with former classmates and met with Dean Hal Krent while enjoying cocktails and hors d’oeuvres. Graduates from the class of 1982 celebrated their 25-year reunion with reminiscing and a delicious Italian dinner at Osteria Via Stato restaurant on Thursday, November 15. To view more photos of the reunion celebrations, please visit the Alumni Online Community.